Want to swim with Dolphins in Miami? There are some encounters and experiences in your life that will stay with you forever, rare moments that you’ll never forget. A swim with dolphins is one of those excursions that doesn’t come around often but stays fresh in your memory forever. The Miami Florida area has a number of places that offer different dolphin encounters, although they’re all fairly similar in the interaction but each destination is a little bit different. Look beyond the dolphin experience at the rest of the facility to see which one fits your needs and likes the best. The Miami Seaquarium opened in 1955 and at the time it was the largest marine life attraction in the world. Today the Miami Seaquarium is the longest operating oceanarium in the United States and has grown to include a large number exhibits, attractions, shows, presentations and a couple of different options. The Dolphin Odyssey is a swim with dolphins experience that is open for people that are 52 inches or taller due to the depth of the water where most of the interaction occurs. Guests get to kiss, hug, rub, dance with and some even get to ride a dolphin. The other option at the Miami Seaquarium is the Dolphin Encounter which is a shallow water experience that has no height requirements but all participants must be at least five years old. In this encounter you’ll wade into the water to touch, feed and play with a dolphin and will receive some tips on training. Both of these experiences have a classroom portion before the interaction so guests not only get to learn more, but they learn the ins and outs of the program and all safety instructions. One great plus of having your dolphin experience at the Miami Seaquarium is the rest of the park is full of exciting things to see and do. Save Money and purchase tickets to the Miami Seaquarium directly online with a Go Miami Card. Dolphin World Miami is similar to the Miami Seaquarium. They too have two different swim with dolphins programs, the Dolphin Swim and the Dolphin Encounter. The Dolphin Swim again requires participants to be at least 52 inches tall because of the depth of the water. The Dolphin Swim is a package deal that includes a 30 minute shallow and deep water experience with touching, feeding and training with the animals and a deep water interaction like a ride through the pool. The Dolphin Encounter program is only for people age five and above and those aged five to nine needs a paid older participant accompanying them. The encounter includes a 30 minute shallow water experience with touching, feeding and training. There is no swimming in this program so it’s perfect for non swimmers or those who are afraid of the water. Both of these programs include general admission to the park, show, marine tour and other marine animal shows. Dolphins Plus is a little further away from Miami, its located in Key Largo. The center is committed to conservation and the protection of all marine mammals around the world and has a focus on education, research, experiential learning and environmental awareness. 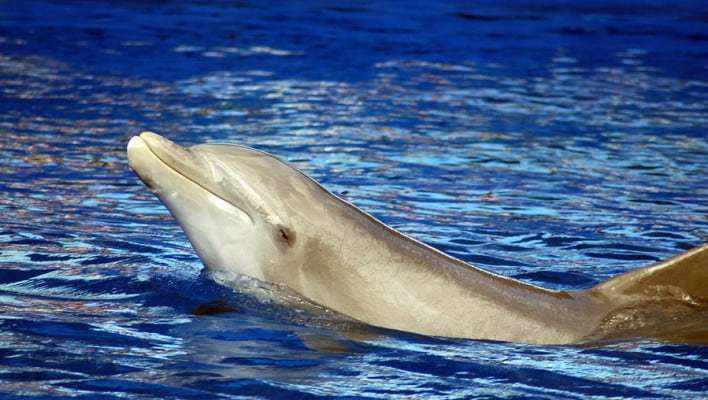 This experience not only features Atlantic bottlenose dolphins, they also have California sea lions and guest can have an experience with both of these amazing creatures. The programs at Dolphins Plus are open to anyone age seven and up and the experiences are in a natural seawater environment. Structured Dolphin Swims and the Sea Lion Encounter are similar in that each one gives you a hands on encounter with a number of trained behaviors. Natural Dolphin Swims simulate swimming in the wild with the guests entering the water with a mask, fins and snorkel to participate in an open swimming session. The education program is geared toward learning and education in both dolphins and other marine mammals and marine ecosystems. For people who are looking for an even more in-depth experience there is the Trainer for a Day program which will pair you with staff members so you can job shadow and interact with the animals throughout the day. There are also internship programs for people looking to explore a career in marine sciences. One great aspect of Dolphins Plus is its dedication to education and environmentalism. At Theater of the Sea, located in Islamorada Florida Keys, you can not only swim with the dolphins but you can have similar experiences with sea lions and stingrays. Theater of the Sea opened in 1946 and is located in a natural salt water lagoon that was originally a quarry. The Swim with the Dolphins program was established in 1987 and is held in a natural saltwater environment. You can swim with the dolphins, request trained behaviors such as hugs, kisses and dorsal tows and you can snorkel the surface and below for an even more in depth interaction. The Meet the Dolphin program started in 1994 and lets you have an experience with a dolphin or a sea lion without getting into the water. The animal will come to the surface near you to perform some trained activities. The Dolphin Wade interaction began in 2000 and happens in shallow water of only three to four feet deep. This encounter includes cradles and kisses and is good for non swimmers or younger participants. The park also includes a number of marine animals, mammals, tropical gardens, alligators, and birds to view and several programs throughout the day. The Dolphin Research Center, located on Grassy Key, was established in 1984 as an education and research facility. The dolphins and the sea lions at the Dolphin Research Center life in 90,000 square feet of seawater lagoons that have natural tidal flow flushes daily. The low fences around the lagoons protect the marine life inside from larger predators and the public but allow smaller critters access both in and out of the lagoons. Although the center officially began in 1984 its roots reach back to 1956 with Santini’s Porpoise School, which was the basis of the original pilot movie Flipper and featured dolphins from this location. A number of programs are available at the Dolphin Research Center including Trainer for a Day, Researcher for a Day, Dolphin Encounter and Dolphin Dip. The Dolphin Dip is one place where children under four are allowed but must be held by their parent or guardian for the experience, the bonus is that there’s no charge for visitors under four. And for an unusual souvenir, sign up for the Paint with a Dolphin experience where you get a t-shirt painted by one of the center’s dolphins.